Kim began her career as a CPA in public accounting. Though not directly real estate related, she had several custom home building clients which triggered her interest in real estate. She left public accounting to work for a Real Estate Investment trust where she primarily valued commercial retail properties. In 2013 Kim and her husband started a real estate development company, Tri Homes Today, where they rehab and construct properties in Chicago. 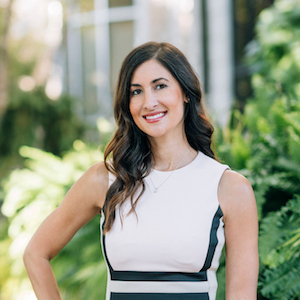 When this business started taking off, she decided to leave the Corporate America “rat race” to pursue a full-time career in real estate and obtained her real estate license in 2015. With Ryan as her mentor, Kim’s passion for working with clients in residential real estate really took off. Kim prides herself in her ability to help her clients find properties that are not only going to make a great home, but also a great investment for their future. Kim has a keen sense for design and assists her clients in seeing a vision of what a property could be and how to build equity through taking on renovations.